The Super Six Stage of the Digicel Twenty/20 Cricket Tournament is heading for an exciting finish as either defending Champions, Vincy or four-time champions, Cavaliers could lock up the one remaining spot in the finals. 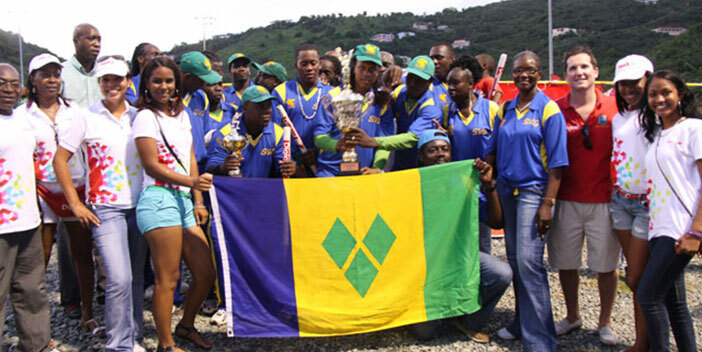 Vincy determines their own destiny with a victory against Vikings on Sunday, May 18. Vikings, who have played unbeaten in their four matches, has already booked a place in the finals. For Cavaliers to get to the finals Vincy will need to lose big to Vikings so that their net run rate falls below that of the Cavaliers. 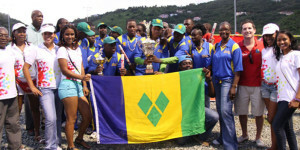 Cavaliers kept their season alive with a victory against Grenada last Sunday, May 11. Grenada won the toss and opted to bowl first despite soggy field conditions at Greenland Grounds due to heavy rainfall which reduced the match to 13 overs per side. Cavaliers made 126 for 7 from their allotted overs while Grenada ran out of overs on 123 for 9, four runs short of the target. Vishaldev Bharrat and Mohamed Hassan, who was promoted up the order to open the batting, set the Cavaliers inning in motion with a 42-run partnership. Bharat led the scoring with 29 runs (3 fours and 2 sixes) before he was caught off the bowling of Rodney Marryshow. Marryshow also trapped Hassan LBW for 15 runs just as the Cavaliers inning started to build momentum. Aaron Baker and Julian St. Clair each contributed 21 runs in the waning stage of the Cavaliers inning. Anthony Pancho picked up 3 wickets for 10 runs while Rasul Manicore and Marryshow bowled 2 wickets for 21 runs and 2 wickets for 35 runs respectively. In reply, Grenada saw their chance of a finals berth slip when the dangerous opener, lefthander Raymond Charles was bowled for duck by Cavaliers’ captain, Jagnarine ‘Sugar’ Persaud. Grenada received contribution from Pancho, 28 runs and Kelly Andrew with 22 runs. Persuad ended with 3 wickets for 31 runs. Vincy kept their season alive by defeating New Testament Church of God (NTCOG) by 8 wickets in 12 overs. Sent to bat first by Vincy, NTCOG posted 134 for 8 wickets led by Mactair James who stoked 51 from 20 balls, including 4 fours and 5 sixes. Ferris Pope added 24 runs and Kenron Baptiste was left not out on 23 runs for NTCOG. Vincy’s Maxford Pipe and Philbert Anthony picked up two wickets each. In reply, Vincy quickly reached the target led by the explosive batting of Austin McDowell who needed just 36 balls to get to 63 not out. He blasted 6 fours and 5 sixes. Kenrick Leslie provided support with 34 not out. Trent Belfon was the only bowler for NTCOG who was successful against Vincy. He ended with 2 wickets for 24 runs.